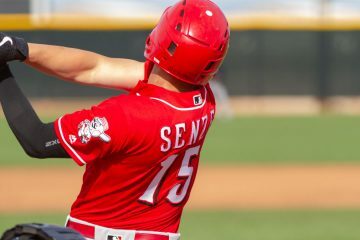 There have only been four games played by each of the Cincinnati Reds farm system teams, so a “hot start” may be a tad bit of a a stretch. But with how the big league club has performed thus far why not try to find something to be excited about? There have been more than a few hitters who have gotten out to quick starts with the bat – which is what we’re focusing on today since no pitcher has made more than one start to this point in the season. 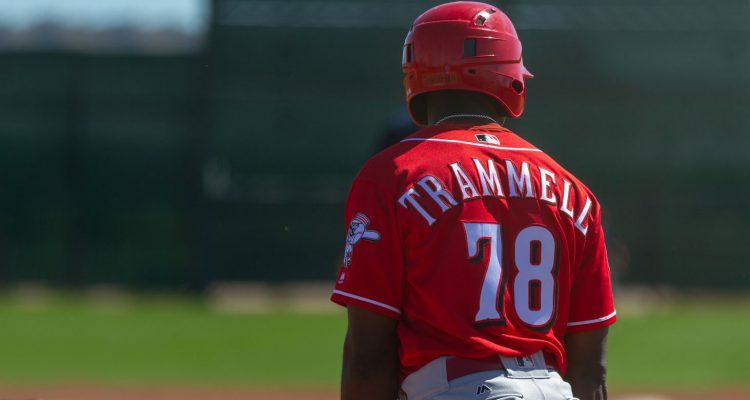 Taylor Trammell is taking full advantage of being out of the pitching friendly Florida State League and moving on up. 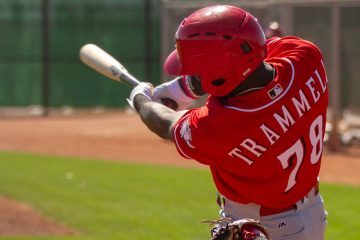 Now with the Double-A Chattanooga Lookouts the Reds #3 overall prospect is hitting .267/.421/.667 through four games. He homered in both games over the weekend and has also walked four times so far. On Sunday Chris Blessing was in Chattanooga and got video of Trammell’s home run. Trammell’s teammate and fellow outfielder Jose Siri is out to a similarly hot start. In the first four games of the year he’s hitting .353/.421/.647 with two doubles, an inside-the-park-home-run, two walks, and a stolen base. He went 0-4 with a walk and three strikeouts on opening night, but has gone 6-13 in the three games since. Blessing also got video of Siri’s home run, which I timed at 14.64 seconds. In Triple-A it’s Brian O’Grady who has been carrying the Bats offense thus far. After a break out 2018 he’s carrying forward through the first four games this season. The left-handed hitter is hitting .400/.421/.667 with a double, two walks, and a home run for Louisville. On Sunday afternoon he hit a home run in Toledo that left the ballpark. Like, the actual ballpark – not just the playing field. In Daytona it’s Alejo Lopez who has been swinging the hot stick for the Tortugas. The infielder has played in all four games and is 7-15, good for a .467 average. He’s also walked three times with only one strikeout – good for a .556 on-base percentage. Teammate Mark Kolozsvary has only played in two of the Tortugas four games, but he’s made them count. He’s gone 4-8 with two doubles, hitting .500/.500/.750. 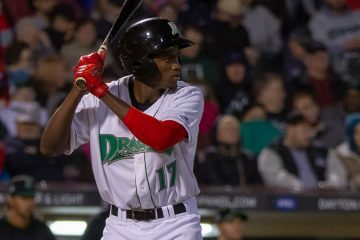 For the Dayton Dragons it’s been Mariel Bautista leading the way. He’s started all four games – three in left field and another game in center. He’s hitting .429/.412/.857 with a double, triple, home run, and two sac flies (thus the on-base percentage being lower than his average). Bautista has also added a stolen base. Trammell also has 7 strikeouts in those four games. So not all sunshine. I am a believer in Mariel Bautista when compared to the rest of the Dominican/International players that have came through Dayton that were not from Cuba. Only April and it’s already time to dream about the future. How does the next batch look? I haven’t given up but man it has been a rough start. Is Beltre Hurt? I was jw I like him . I get limited Power but like his OBP skills. Power usually comes Last. Sort of. I’ll have more on him, and a few other guys tomorrow. I got updates on a handful of guys that aren’t on rosters right now. Thanks Doug I appreciate it. Too bad for Dragons today. One of their rare day offs and they are spending it on the road. Siri and Trammel in Louisville soon! don’t look now but Siri is walking and hitting. Small sample size I know but I love watching him get on base and lets be honest – we need a real center fielder to dream on. I hope he stays healthy and shows well in the upper minors so we know what we have with him.